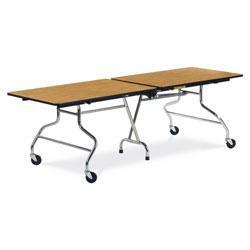 Do you need tables for your school cafeteria or banquet hall? We have what you’re looking for. 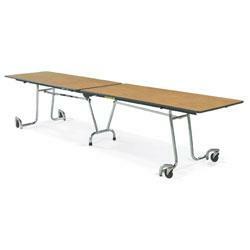 Our cafeteria/banquet hall tables come in a wide array of sizes, including 8 feet to 12 feet rectangular tables and 60-inch round tables. 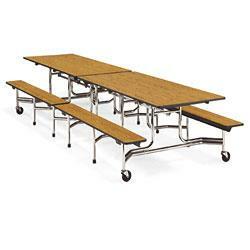 They’re designed for versatility, comfort, durability, and ease of maintenance. 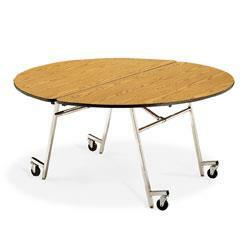 We carry models with and without attached seats. 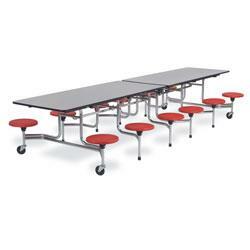 We understand the importance of easy storage, flexibility, and safety in a cafeteria setting and have carefully selected our inventory of cafeteria tables from top furniture manufacturers in California to deliver what you need. 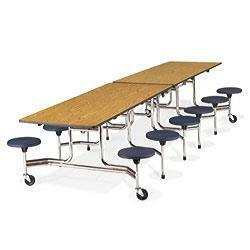 Our bestsellers include foldable cafeteria tables from Virco, the leading manufacturer of school furniture and equipment in the United States.